The self-proclaimed Maltese ‘patriots’ have now targeted a 27-year-old activist for being transgender. 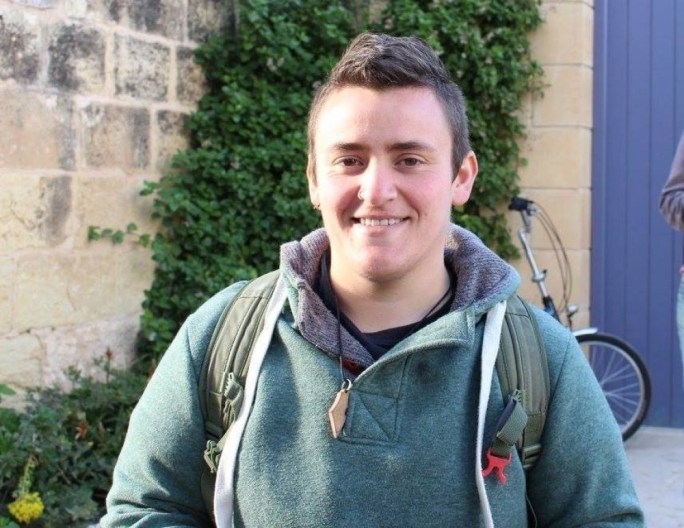 Alex Caruana was one of three activists who on Sunday interrupted a protest by the Ghaqda Patrijotti Maltin (GhPM), urging protesters to stop inciting hatred and disunity in Malta. The protest was organised after the Dominican Order temporarily opened the doors of its Valletta college to the Muslim community for worship. In St Paul’s Bay, the local council opposed a planning application for a prayer room. Now, a homophobic post has gone up on the Facebook page of the GhPM, targeting Caruana. 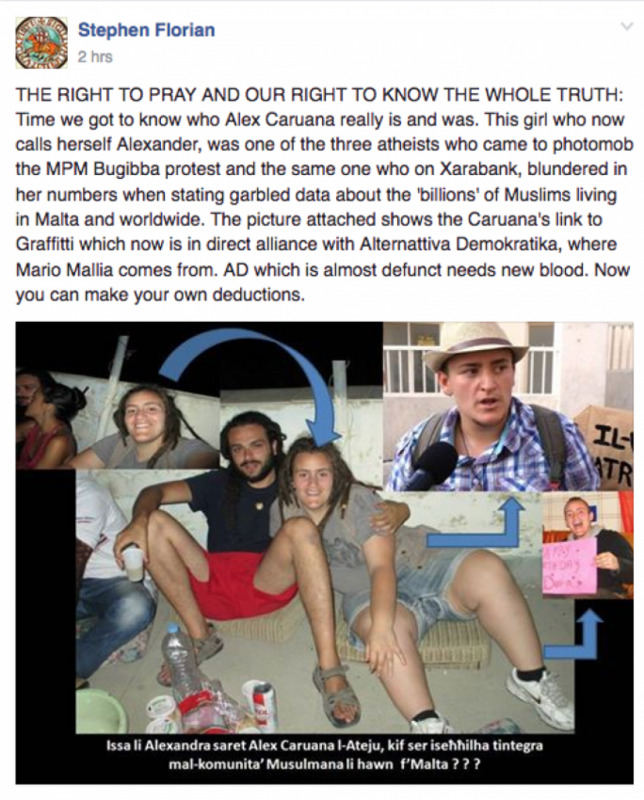 “Time we got to know who Alex Caruana really is and was,” Stephen Florian, who is also a lecturer, posted on Facebook. Florian goes on to comment on Caruana’s affiliation with Moviment Graffiti, a left-wing movement which is vocal on issues such as human rights, political transparency and the environment. He also targets Alternattiva Demokratika and Mario Mallia, a green party spokesperson. AD chairperson Arnold Cassola said that the shameless hatred spread against Caruana was despicable. 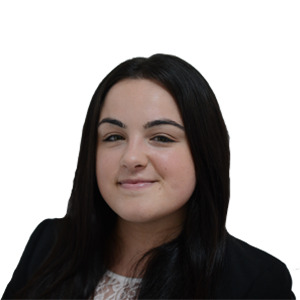 "Unacceptable, when coming from people who have had little chances in life; very worrying for the future of the country when coming from someone who has had a sound cultural and educational formation," Cassola said. Florian’s comments have been denounced by several on social media, with many taking to Caruana’s Facebook to express their solidarity and support. Among them was producer Adrian Buckle who said: "University allowing a University lecturer bullying a student because he is trans to defend xenophobic feelings. Shame!" Commenting on the post, Caruana questioned the relevance between his gender and the arguments being brought forward by GhPM in their opposition for new prayer rooms.